Visit the Biblical Lands, in Pittsburgh! Displaying the Agriculture, Horticulture, and Archeology of the Ancient Near East. Enter a replica of ancient Israel in our Biblical Botanical Garden with more than 100 temperate and tropical plants. See the land of the Bible, the Holy Land, in a setting with a cascading waterfall, a desert, a bubbling stream, the Jordan, which meanders through the garden from Lake Kineret to the Dead Sea. Each season we focus on a special theme of ancient Near Eastern horticulture or religious concerns and add plants appropriate for that exhibit. Brochures and books are available. 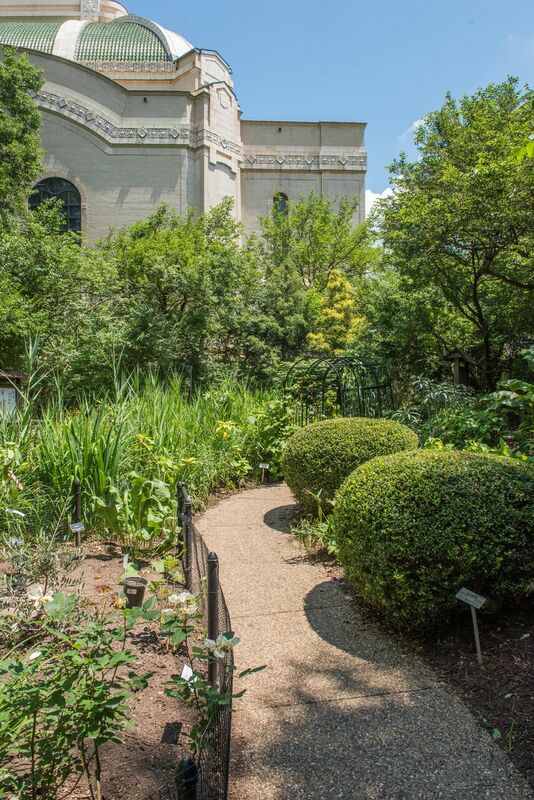 The Biblical Botanical Garden is completely free and open to the public during operating hours. Guests are welcome to come and walk through the garden on their own. 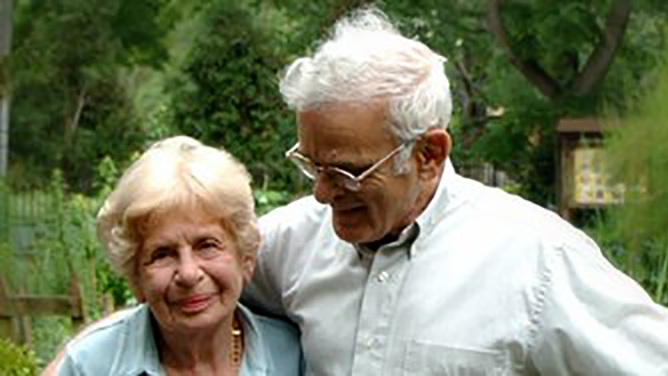 Irene and Walter Jacob founded the Rodef Shalom Biblical Garden as a labor of love. For decades their hard work and dedication kept the garden thriving. The Rodef Shalom Biblical Garden is looking for volunteers to help us keep the garden running. Volunteers fall into 1 of 3 categories; greeters, hosts, and gardeners.